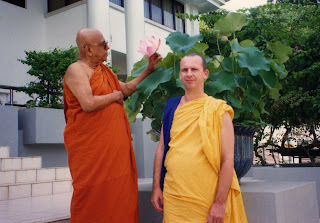 Eventually in 1985 I moved to Singapore where I worked with Ven. 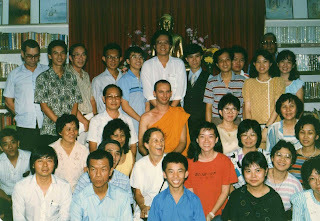 Dhammaratana at the Buddhist Library while also working for the Education Department’s Curriculum Development Institute. 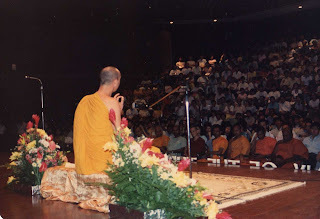 I also went into ‘international Buddhist conference’ mode, a life choice I would not recommend unless you wish to hear yourself saying the same old things or listen to others say the same old things. This is me with my very good friend Ven. 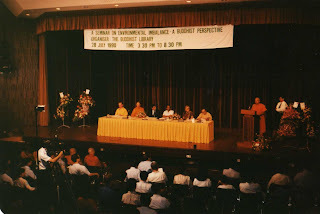 Piyadassi during one of his several trips to Sri Lanka. 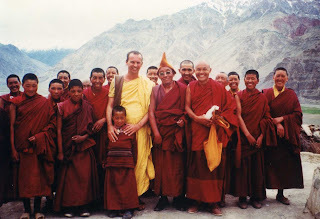 And this is me in Ladakh at a nunnery that our society supported at that time. And that's defiantly enough nostalgia. 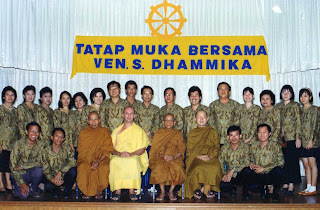 Tomorrow, back to the Dhamma. I fully agree with you. Just like politicians attending world conferences!! I suppose the same old things have been spoken and heard for over 2,000 years. Old wine in new bottles - the superficial packaging! The comings and the goings, the pleasantries, the honour and the recognition at world stage is what all these conferences are about. Have they produced one more Enlightened? Your photos tell an inspiring story of a determined brave person who was so wise to choose this path at a young age and able to stay on course despite so much hardship. You have my heartfelt respect and admiration! Oh no... is this it? I enjoyed reading your lil walk back in time, both pics and captions. Thanks for sharing.